The most common question I have received in the past two years is, “Who is going to film your wedding?” And that is a good question. 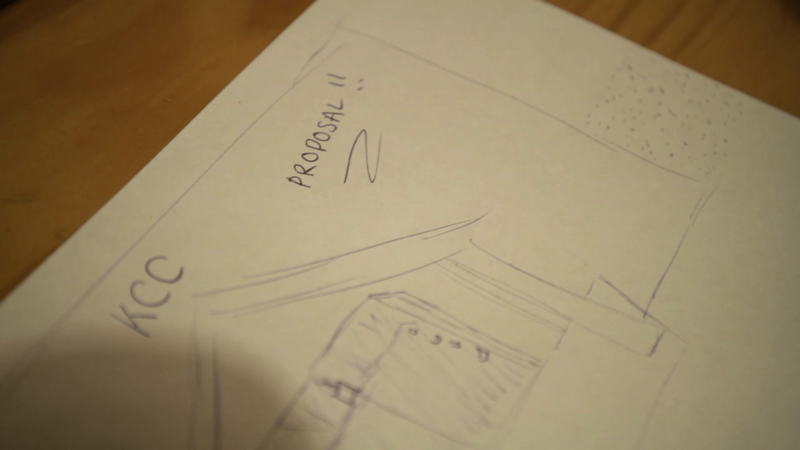 I must say though, more importantly, who is going to film my proposal? Thankfully, my friend Taylor Stanley leaped at the opportunity (on very short notice too), and agreed to film my proposal! 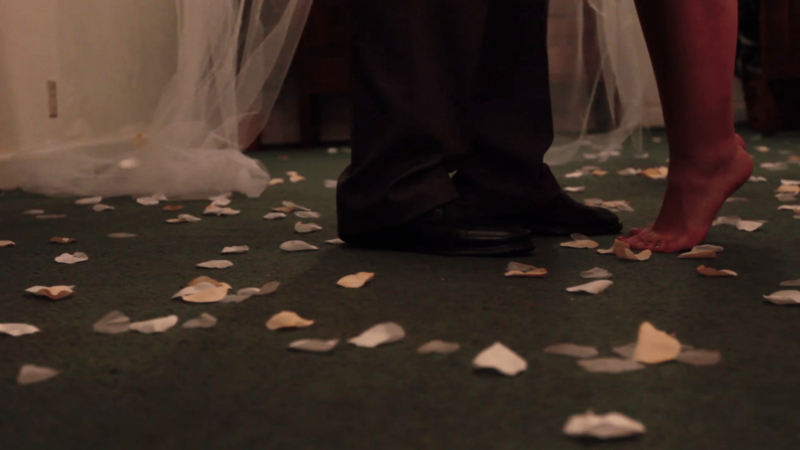 For more details about the wedding, you should check out my betrothed’s website, Who Is Rachel? Expect to watch my wedding film in a few months! Interested in having me film your proposal? Please contact me! I’ve been good friends with Ashley and Tyler for several years now. Ashley has helped me film many weddings and is one of the most talented creative people that I know. Two months ago Tyler called me and announced he was ready to propose, and he wanted my help. 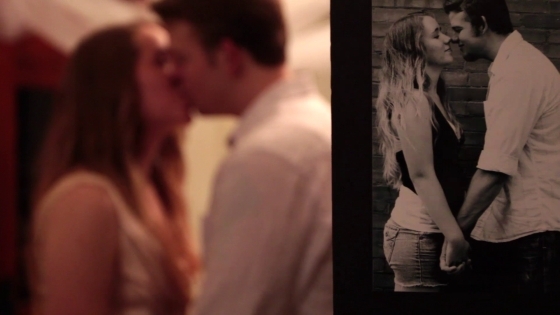 On June 8, Ashley would be taking photos of her friends Skyler and Brad, all over Dallas. Tyler hijacked their photo-shoot and had them tell Ashley they also wanted photos taken at the Fort Worth Botanic Gardens. I arrived with Tyler at the gardens at 10am, with the expectation of Ashley arriving anywhere from 11am-1pm. Well, she had a lot of creative inspiration during her photo-shoot and didn’t end up arriving until 1:30. This was actually beneficial because I had a lot of time to interview Tyler about his story leading up to the proposal. After many secretive phone calls and text messages between Tyler and Brad, Ashley finally arrived at the Fort Worth Botanic Gardens. Brad and Skyler told her how much they wanted to take pictures in one place, and when Ashley walked around the corner, Tyler was there waiting for her. You can see from the film that she was completely taken by surprise. 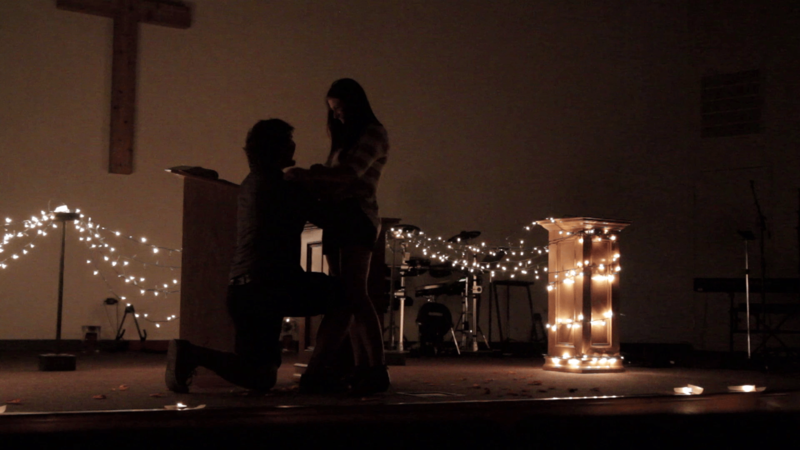 This was easily one of the best proposals I have ever filmed, and I expect to film their wedding in a few months. Sara and Jason met in March, were engaged in June, and are getting married in November. It just goes to show that when you find the person you want to spend the rest of your life with, you don’t want to spend a day longer than you have to without them. They can’t wait to get married and I can’t wait to film their wedding, come November 5, 2011. This entire shoot came about from Sara wanting something that she could show at her reception that would amaze her guests. Her and Jason later decided that they wanted a Same Day Edit, which means I will be incorporating this into the film shown at the reception. The highly talented photographer, Chandler Adaway, had already planned on photographing Sara and Jason, and he agreed to let me tag along. Between the hours of 5pm and 10pm we visited a coffee shop, Beaumont’s only frozen yogurt eatery, historic downtown Beaumont, and the beach. Sara managed to cover all this ground in heels, while Jason was thankful for the chance for some PDA. You can see the photos at Chandler’s blog! This was also my first film that I have ever edited with the Cinemascope aspect ratio in mind. This results in a crop where the movie ends up being 1920×800 instead of 1920×1080. 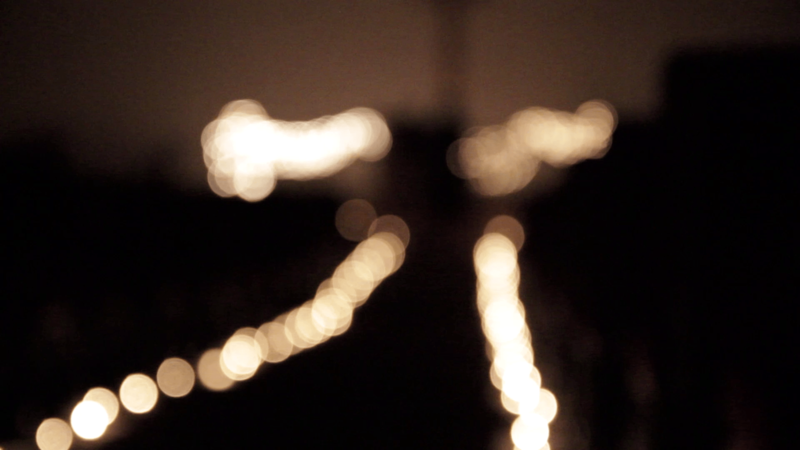 The film ends up looking more cinematic and allows me to focus the picture exactly on what I want viewers to see. Expect more of this in the future. If you enjoyed this engagement film, feel free to check out Bryn and Jason’s engagement film, or Raegan and Clayton’s engagement film! 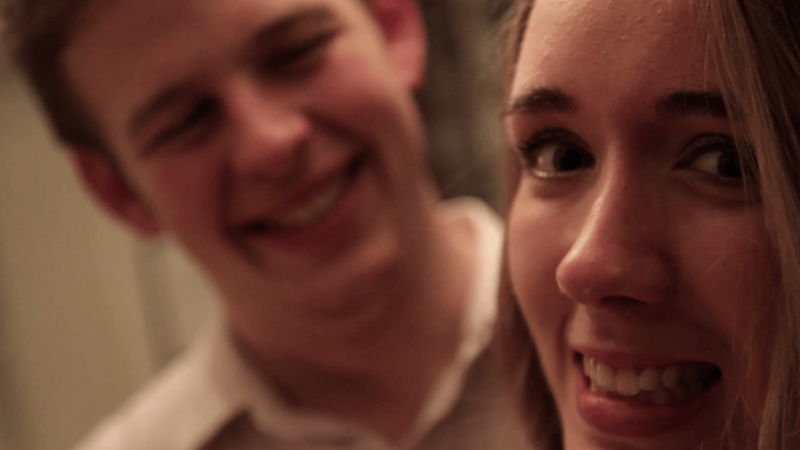 Please contact me if you would like to watch Bryn and Jason’s Engagement Film. Bryn had no idea up until he got down on one knee. She claimed the dancing to their favorite song, candles, and rose petals were clues, but she didn’t know for sure until then. As you can see from the film, she said yes. You can view more photos from Bryn and Jason’s engagement at Sun 7 Studios. 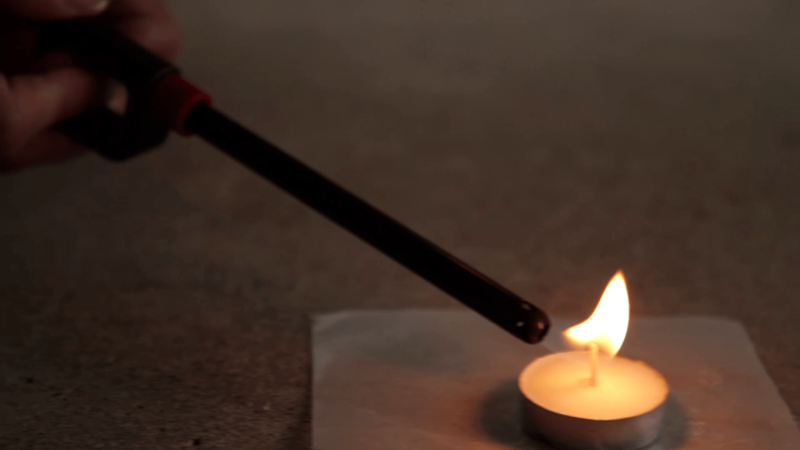 Thanks to Ashley Stineman for all her help filming this! 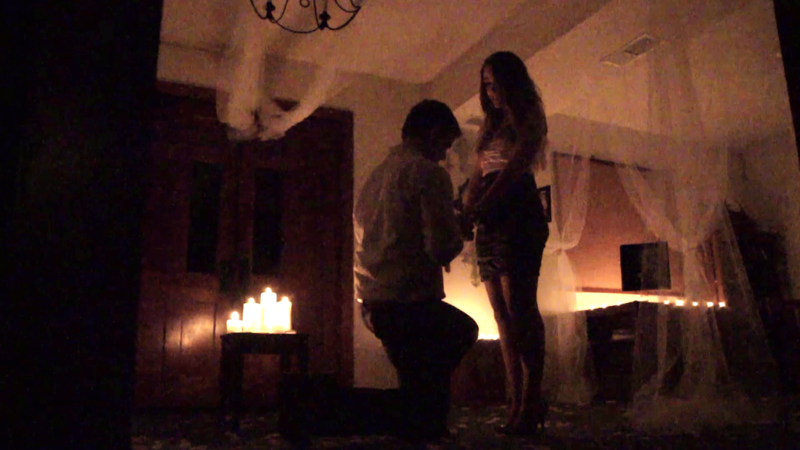 If you enjoyed watching this, you will also enjoy watching Raegan and Clayton’s proposal that I filmed. 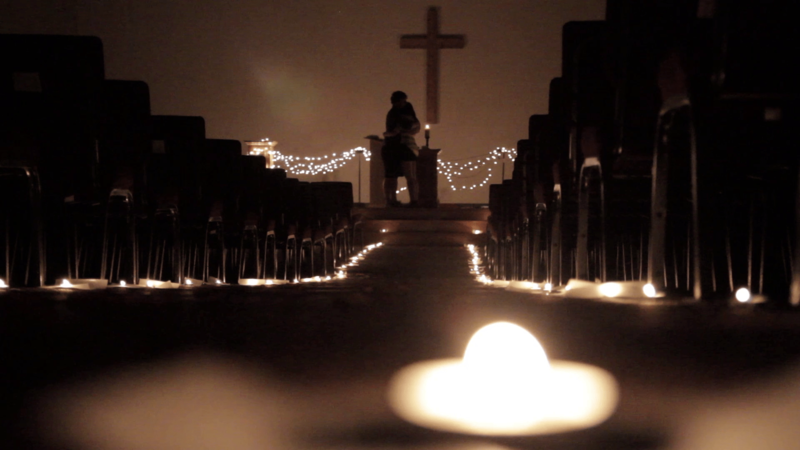 Please contact me if you would like to watch Raegan and Clayton’s Engagement Film. Clayton called me the day before his engagement asking if I would be available to film him proposing to his girlfriend (now fiancé) Raegan. Having known him and Raegan for several years, I immediately agreed. 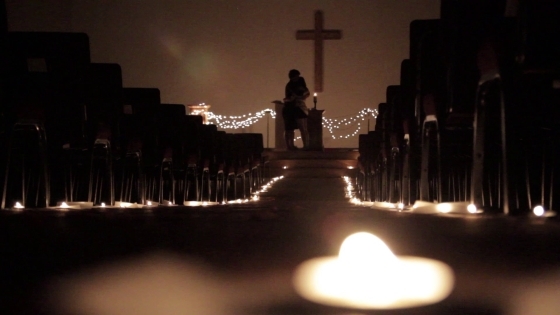 He really went all out on this proposal – 450 individual tea candles lit all throughout the Grace Bible Church. 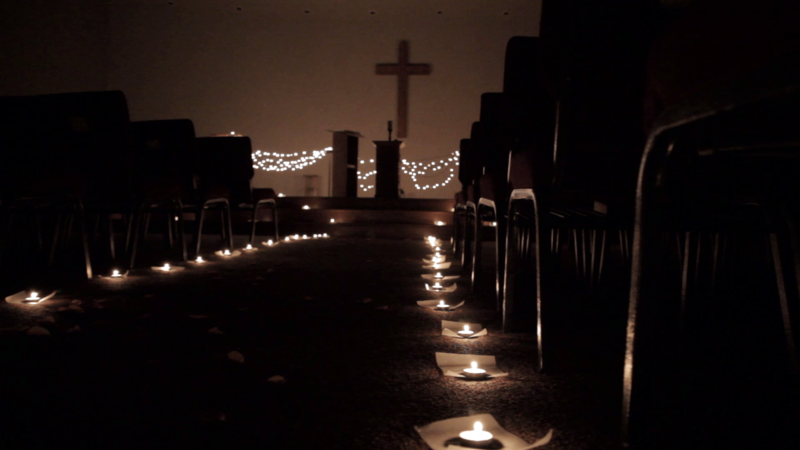 The candles made a path from different photo tables throughout the church that showed the different places of Raegan and Clayton’s relationship. 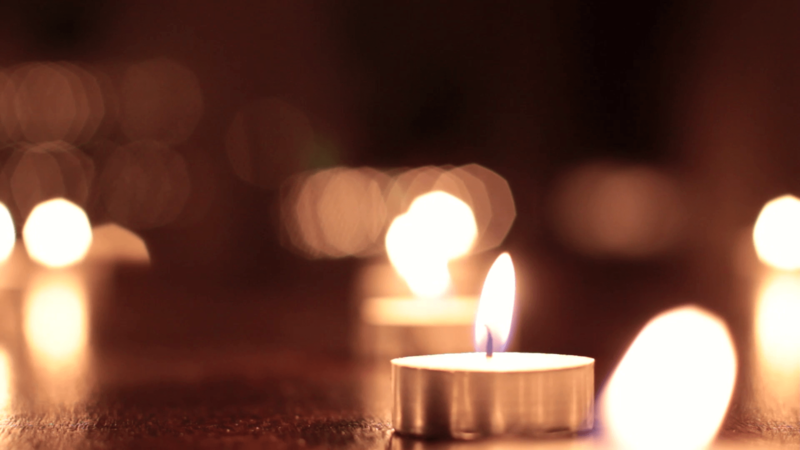 Two different candles sat at each table, each signifying Clayton and Raegan. 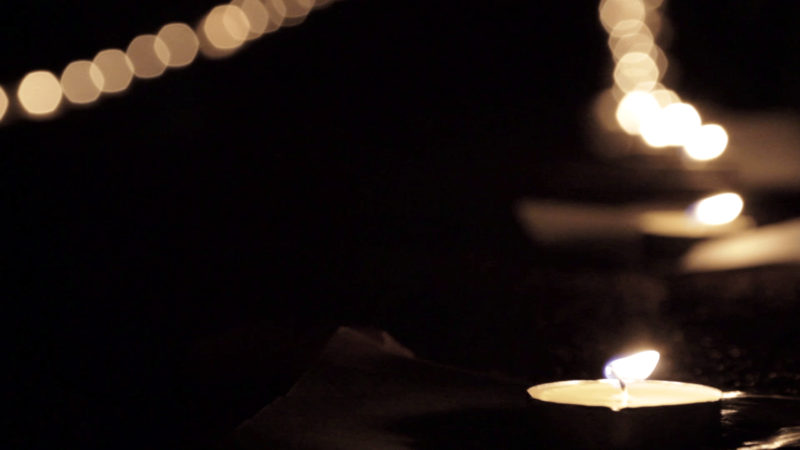 The final table had just one candle, and it symbolized the unity of marriage. Raegan had no idea until they arrived at the church and Clayton insisted that she come inside. If you can’t get enough of these engagement films, you should watch Bryn and Jason’s engagement that I had the chance to film in March 2011.